In Chinese and Japanese visuals arts, the same type of brush and ink are used for both writing and sketching. In Japan, painting in black ink is known as Sumi-e. In common with Japanese calligraphy, the emphasis in sumi-e is to achieve beauty in each of the individual strokes of the brush. One of the greatest masters of monochrome sumi-e art was Sesshū Tōyō (1420--1506). Sesshū was born into a samurai family and educated as a Rinzai Zen Buddhist priest. He became a pupil of another sumi-e master, Tenshō Shūbun (1414--1463), and later in life became widely known for his exquisite art work throughout Japan and China. 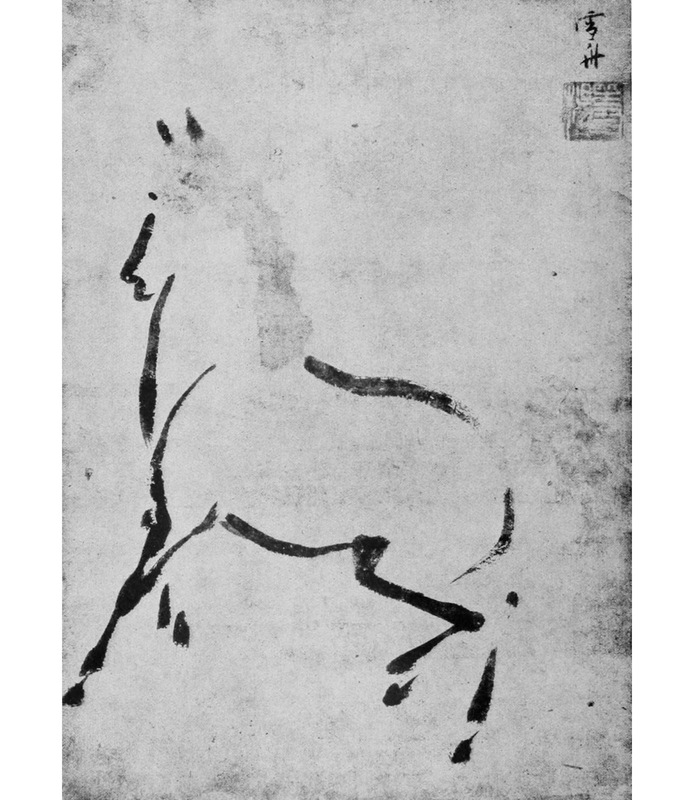 The figure shows an ink sketch of a horse on paper by Sesshū. In this media there is no room for hesitation or re-work. Each stroke must be delivered to the paper with confidence and fluidity. The quality of the result is continually at risk during the process of making. When executed by a master like Sesshū, a handful of confident brush strokes are sufficient to capture the essence of a horse.